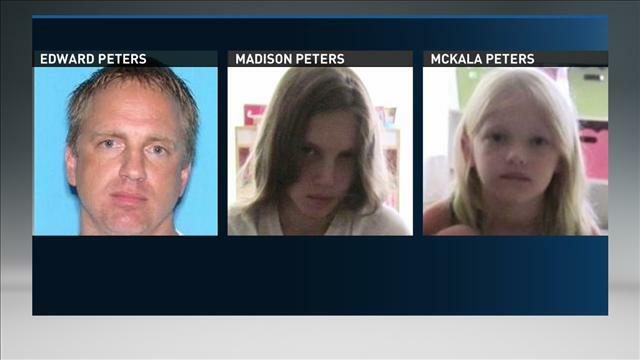 Florida authorities are asking the public’s help in locating two children, Madison Peters and McCala Peters, who have gone missing and may be heading to Minnesota with their father Edward Peters. Madison and McCala were last seen in the area of 5000 block of South Hummingbird Avenue in Inverness, FL on Sunday September 8. Police say that Edward Peters took his two young daughters against the wishes of their court-ordered guardian. The father does not have custody, nor is their legal guardian. There is a warrant out for Edward Peters’ arrest. The Citrus County Sheriff’s Office says Madison Peters and McKala Peters were last seen in the area of the 5000 block of Hummingbird Avenue in Inverness. Madison Peters was last seen wearing a pink Minnesota t-shirt, cropped jean shorts and black flip-flops. McKala Peters had on white shorts, a blue and pink shirt and flip-flops. The three may be traveling to northern Minnesota in a black 2000 Buick Bravada with Michigan license plates CNH7211. The vehicle was reported stolen from a campground in Sanilac County, Michigan.